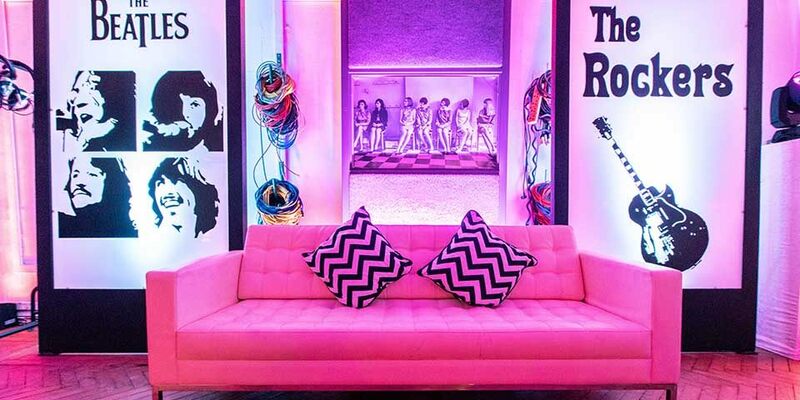 Our client wanted to celebrate her 70th birthday in the heart of London, specifically around Kings Road or Carnaby Street, areas that are synonymous with the swinging 60s. Taking advantage of our venue-finding service, we arranged visits to shortlisted venues. During the day, conversation turned to one venue that wasn’t available on the required date – our client’s eyes immediately lit up and said she’d change the date if we could make it happen. One hastily arranged appointment later and we arrived in St John’s Wood, north London, beyond excited as we entered the legendary Abbey Road Studios! It wasn’t a difficult decision, the moment we walked in there was an amazing atmosphere and energy, strange as it may sound. Abbey Road Studios was like a second home to The Beatles, recording almost all of their songs in Studio 2 with producer George Martin in the control room. The studios have seen many top artists recording music over the years, but it is still The Beatles for which it is most famous. 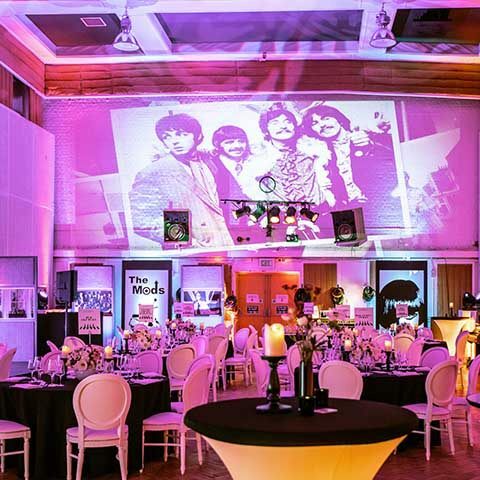 This was the venue our client was looking for – an icon of the sixties and guaranteed to ensure that her 70 guests, who came from all over the UK, would want to be there. 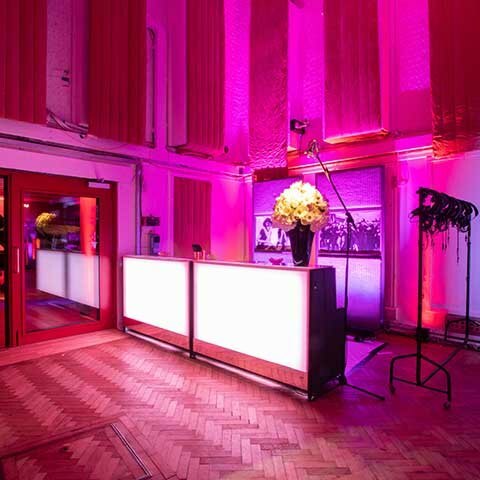 The fact that Abbey Road Studios can be used for a very limited number of events each year – and that our client’s birthday party would be one of them – made our chance conversation feel like fate. 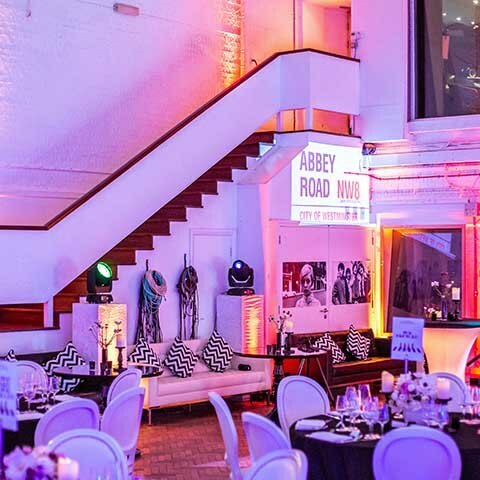 A black and white stylised version of The Beatles’ Abbey Road album cover formed the basis of the party theming and helped create a branded look for everything from the party invites to the table settings. 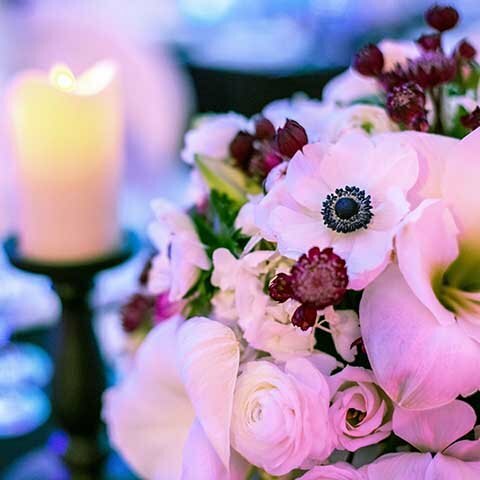 Studio 2 was set up for a formal dinner, each table named after an iconic band and decorated with floral centrepieces created by our florist who skilfully continued the black and white theme. 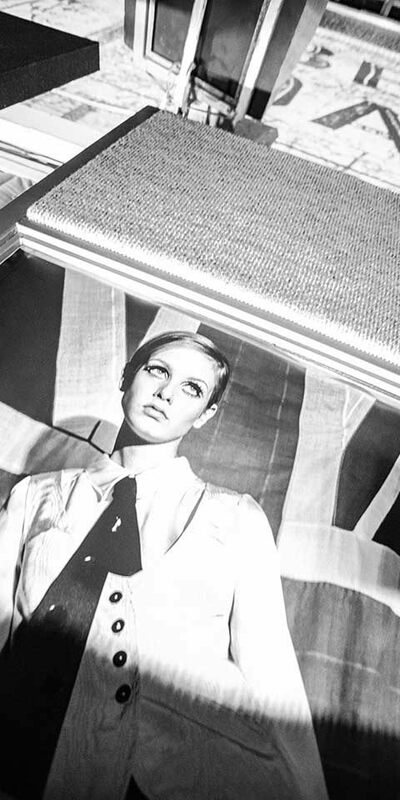 We took inspiration from the sound-proofing panels in the studio and installed more, as well as a massive wall projection, all of which featured images representing the culture of the sixties. Our lighting scheme added warmth and colour throughout the evening. 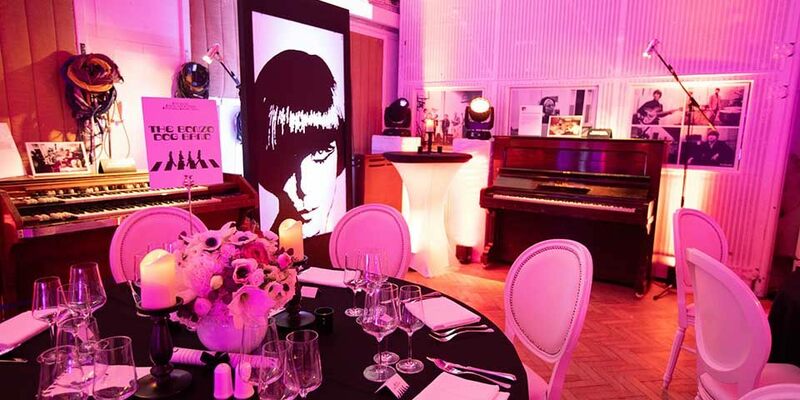 As guests arrived, having followed in the footsteps of the Fab Four across the zebra crossing outside, they were ushered into Studio 2 for a drinks reception with a pianist playing in the background – on the very piano John Lennon regarded as his favourite. 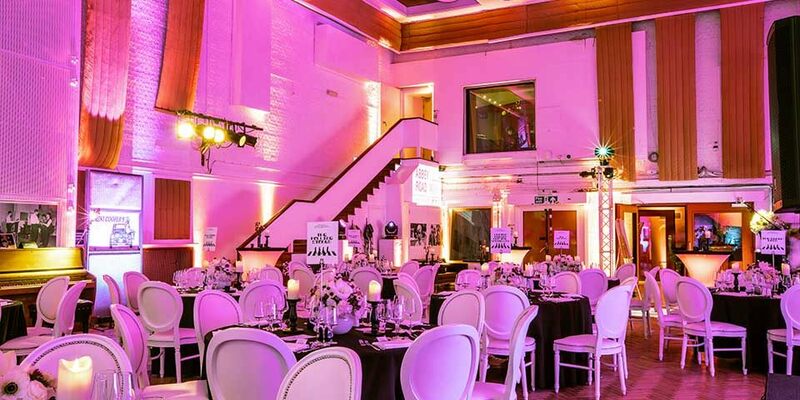 Abbey Road Studios’ in-house caterers provided a stunning three-course dinner, and after dessert had been served a comedian filled Studio 2 with laughter. This was followed by a pub quiz we had specially devised for the party and Abbey Road chocolate vinyl records were awarded as prizes. 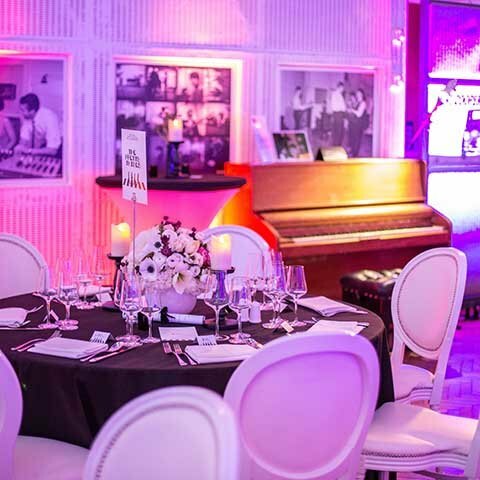 On to the dancing and the playlist our DJ arranged, working closely with our client, proved a huge success – the sofas we’d put out for guests wanting to chill out remained empty for the duration! 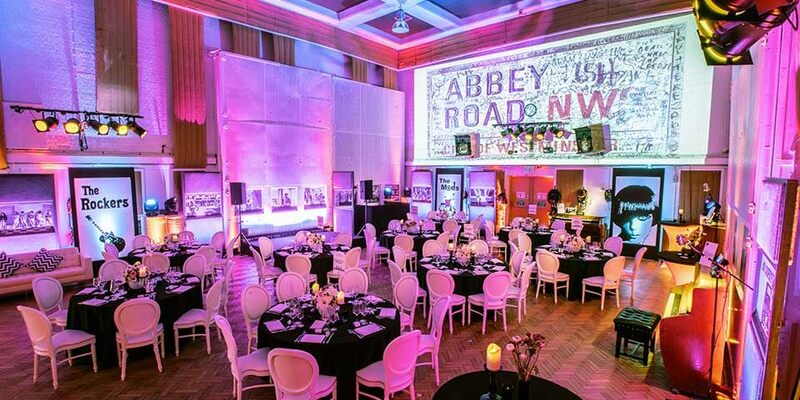 This unique party was made even more special by the wonderful generosity of the Abbey Road Studios team. Guests were treated to a fascinating talk about Abbey Road and its history, as well as an opportunity to visit the control room where a sound engineer explained all the equipment. And with everyone dressed in their best 60s attire, it wasn’t hard to feel transported back to an incredible time in pop history.